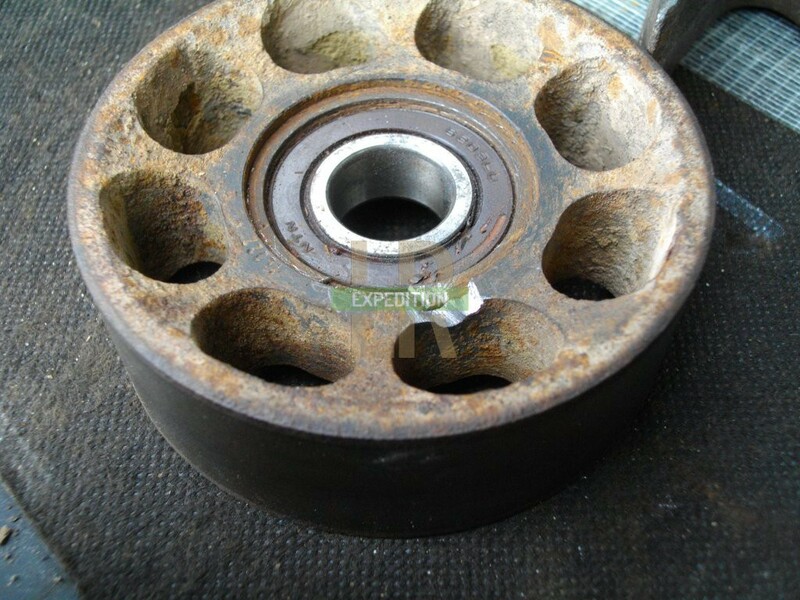 These are quite common items to wear as it spins all the time that the engine is running. 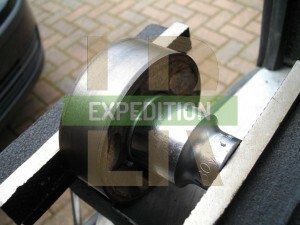 One option is to replace the entire tensioner assembly for about £50. 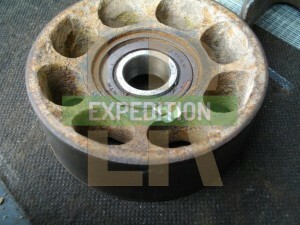 If the tensioner still works then the much cheaper option is to just replace the bearing in the pulley for about £5. It'll help keep the wear on the fan belt evenly spread with less chance of a sudden failure of the pulley. 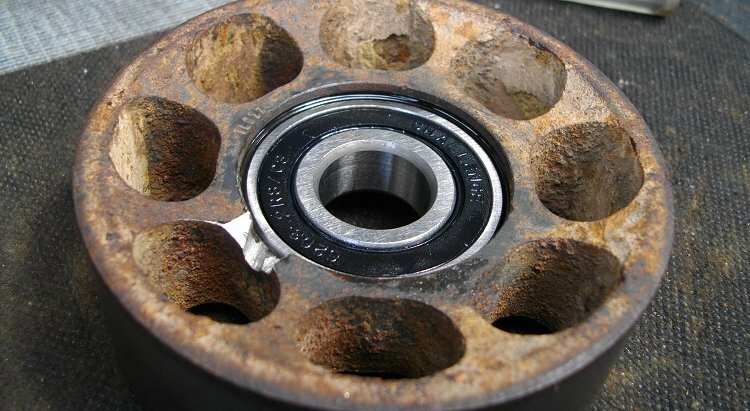 Watch this video to see how you can hear that the bearing has worn. 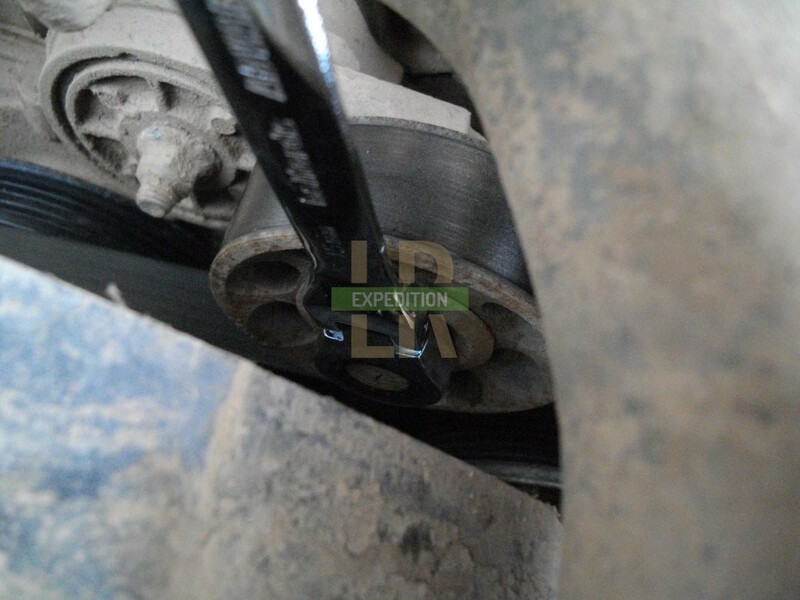 Release the tension on the tensioner by using the 15mm spanner (easier than a socket due to the fan cowling) on the pulley bolt and turning anti-clockwise (it's a reverse thread) to pull it away from the belt. 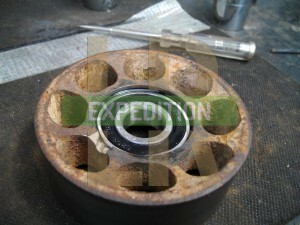 Remove the belt and then turn clockwise to unscrew the pulley bolt. 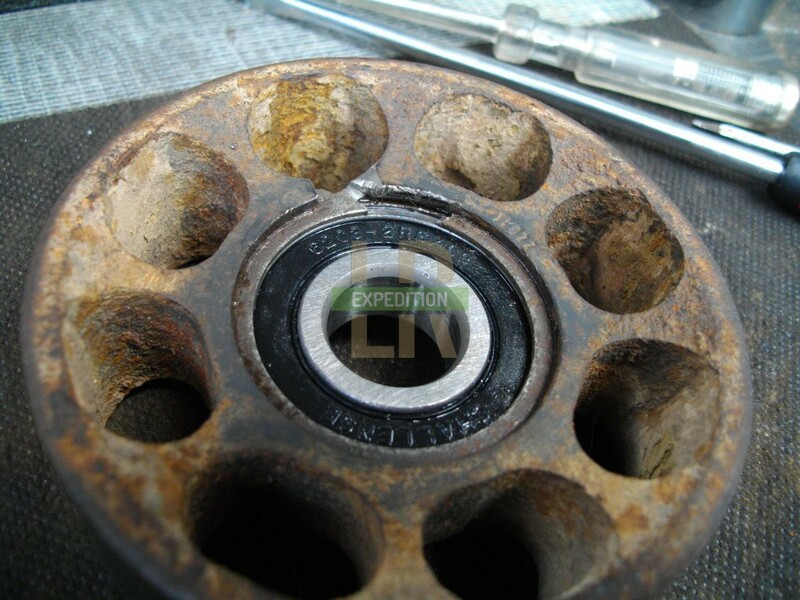 Getting the snap ring out is a pain. Unless you are able to just lever it out with a sharp screwdriver, you may have to grind down with a file to free it from the rust. 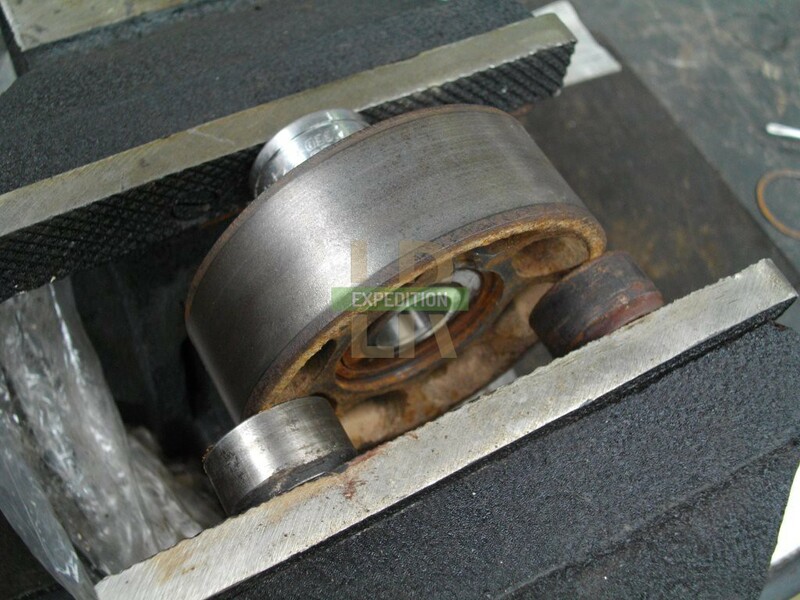 Create a groove in the pulley between the gaps in the snap ring, so that it goes below the top level of the snap ring groove. Then tap the snap ring around so that the edge passes by the groove you have just created. 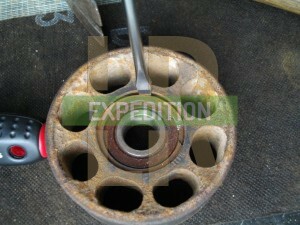 You are then able to lever the snap ring away and ease it round with a screwdriver. Once it's out, press the bearing out in a vice with a largish socket about 27mm. 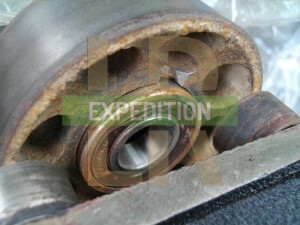 Press the new bearing in squarely with a 30mm socket on the outer race. 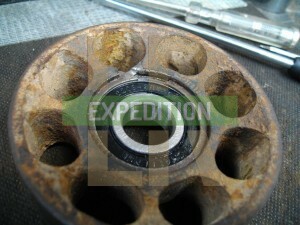 Refit the pulley and there you go! It must be said that the quality of this job will depend on the quality of the tensioner bearing that you buy and the longevity will rely on whether the engine gets caked in mud very often! 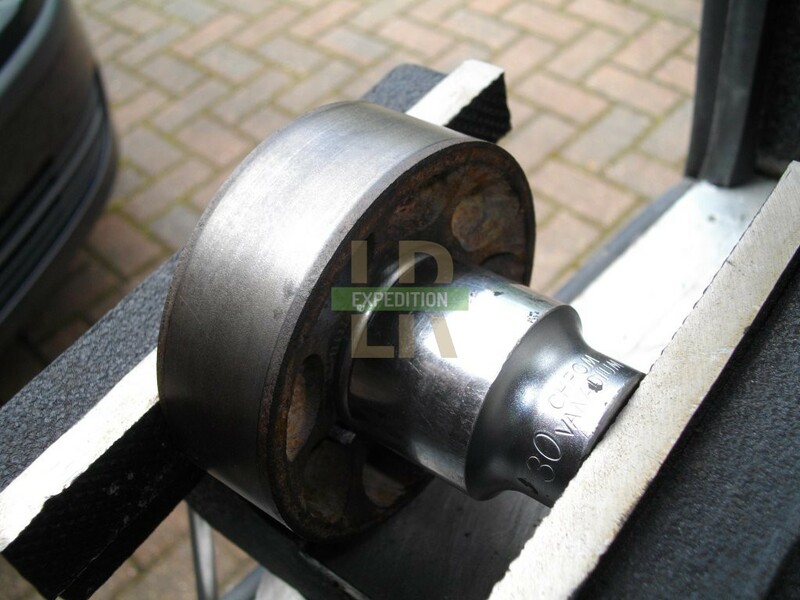 But it's a pretty quick and inexpensive way of sorting a problem.